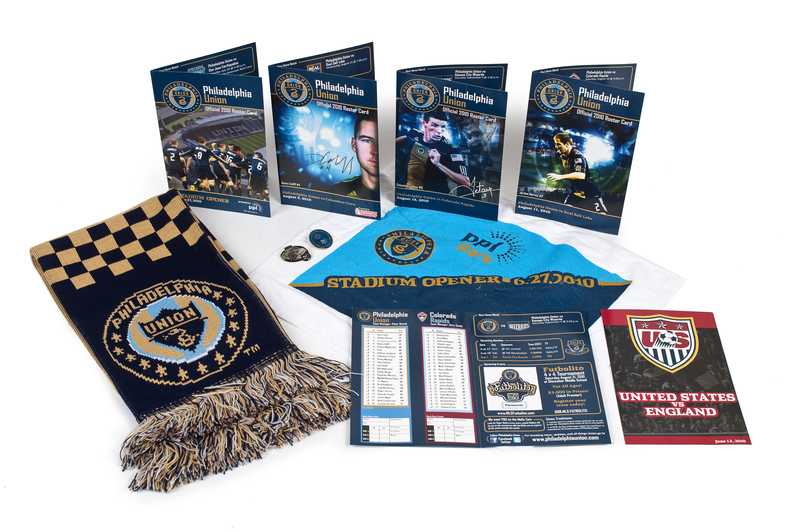 Items designed by Shaun Crump for the Philadelphia Union soccer team. Shaun Crump’s dream internship was to work for a MLS, Major League Soccer team. While this school (KU) offers seniors wonderful internships at places like Binney and Smith and Partners Design, it is the individual students who find these dream internships and make them happen. Senior Shaun Crump is a sportsfan. He found his internship opportunity with the Philadelphia Union via the website Teamwork online. He said that the web site, which specializes in sports-related jobs and internships isn’t very easy to navigate. Once he figured out how to upload his resume he was quickly contacted by the Philadelphia Union MLS soccer team. Over the past summer he spent 2 to 3 days a week at their new stadium, PPL Park in Chester, PA, not far from Philadelphia’s city limits. 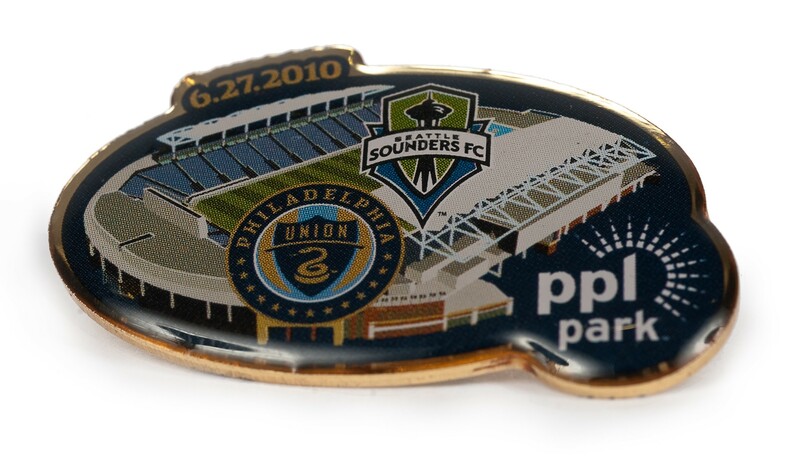 PPL Park vector drawing by Shaun Crump applied to enamel pin. Shaun loves the game of soccer and he loved the energy of the young team. He designed programs, flyers, and team promotional items like towels, and even souvenir enamel pins. He used his Photoshop skills to design digital wallpaper suitable for computer and smart phones based layered action photos of star players. The wallpaper is available free here. Shaun recently showed me this wallpaper website and noted, with a sigh,one of his favorite designs was gone because the player was traded. The internship was unpaid. Shaun was on the field during the games and witnessed some great matches. He even got to watch the world famous U.K team Manchester United play an exhibition game. Shaun feels it was an absolutely worthwhile experience and the Union organization asked him to apply for a paid position when he graduates. The see more of his portfolio of design and illustration work, visit shauncrumpdesign.com.